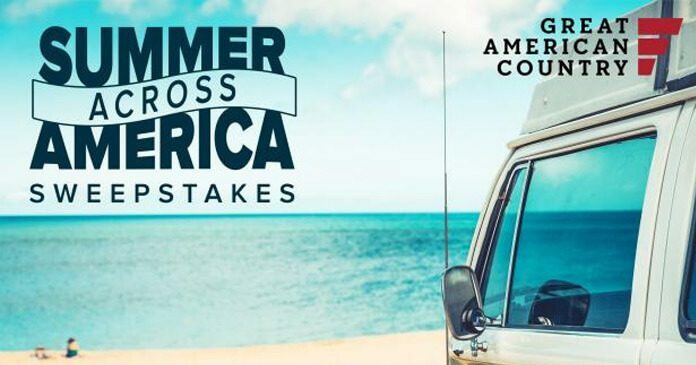 Great American Country invites you to visit gactv.com/summer and enter the Summer Across America Sweepstakes 2018 daily through June 12 for a chance to win the perfect getaway. One lucky grand prize winner will get receive $25,000 cash prize. Find out how to enter the GAC Summer Across America Sweepstakes below for your chance to win the grand prize. Go online to gactv.com/summer daily during the Sweepstakes Period. Click “Begin Entry” to continue. Fill out your information as directed on screen. Click “Enter” to receive one Sweepstakes Entry for that day. Return and enter again once per day throughout the Sweepstakes Period to increase your chances of winning the grand prize valued at over $25,000. Eligibility: The Summer Across America Sweepstakes is open only to legal residents of the 48 contiguous United States and D.C. who are 21 years of age or older as of the Promotion start date. Promotion Period: Beginning at 9:00 a.m. ET on April 30, 2018 until 5:00 p.m. ET on June 11, 2018. Limit: Limit of one entry per eligible person, per day, during the Promotion Period. Random Drawing: The Grand Prize Winner will be selected in a random drawing from among all eligible entries on approximately June 12, 2018, and will be contacted by phone on or about June 12, 2018. Winners List: Beginning on or about June 28, 2018, you may obtain the name of the Grand Prize Winner by going to greatamericancountry.com/about-us/sweepstakes. Sponsor: Scripps Networks, LLC dba Great American Country, 9721 Sherrill Boulevard, Knoxville, Tennessee 37932. Administrators: Ritway, Inc., 1463 E. Weisgarber Road, Knoxville, Tennessee 37909.